RSVP for this event has closed since this event was in the past. You need to be logged-in to post your comments. No comments about this event yet. If you have any questions about this event please ask it here. Or, if you have a comment about this event, please say it here. If you would like to list your business here please contact the Masjid Administration. 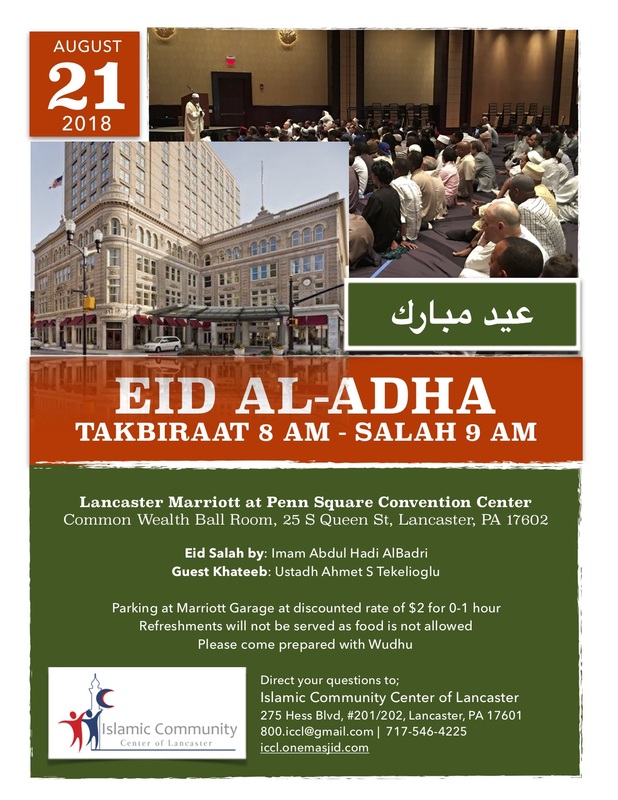 The Islamic Community Center of Lancaster (ICCL) was established in April 2013 not only to help with the growing needs of the area Muslim community, but also to serve the community at large with its various social programs. 2018 Islamic Community Center. Content is ours, comments are individual's opinion.